We are interested in how the simple nucleotide dUTP plays a role in the action of several antimetabolite drugs and how dUTP pool levels are used as an innate immune defense against viruses. 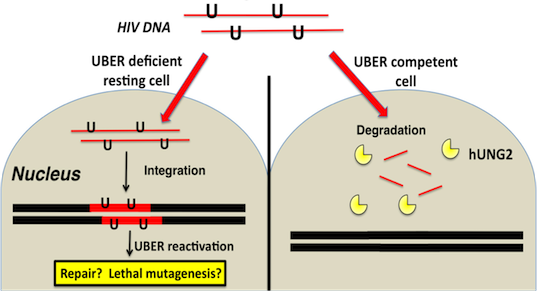 We investigate the mechanisms for both of these uracil-centric problems using advanced biophysical and cell biology approaches. Our goal is to uncover new targets for antiviral and anticancer therapeutic development. 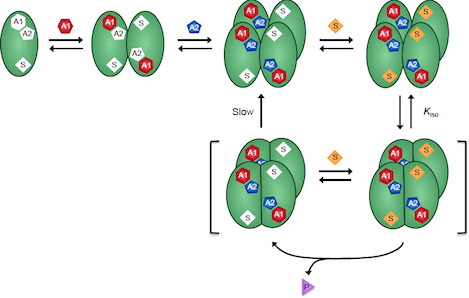 DNA repair enzymes must locate rare damaged bases in a large sea of undamaged bases. We have developed new methods for unraveling the fundamental mechanisms that are used to search for DNA damage. 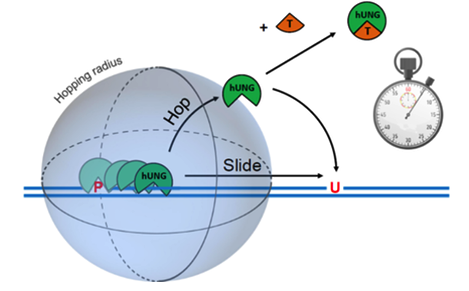 Current questions being investigated are the role of DNA and enzyme electrostatics in the process of DNA translocation, how enzymes recognize damage in the context of nucleosomes, and the development of model systems for investigating the biophysics of DNA damage recognition in crowded environments such as the human nucleus. The immune system uses both adaptive (antibody) and innate mechanisms to fight viral infections such as HIV-1. A newly discovered innate immune defense to HIV-1 is the dNTP triphosphohydrolase enzyme SAMHD1. We are elucidating the enzymatic properties of this enzyme using the tools of structural biology, enzymology, synthetic chemistry, and cell biology. We ultimately seek to understand how SAMHD1 is involved in HIV-1 infectivity of immune cells.